Even if you’re not really into crafting, there are a lot of fun DIY ideas you can easily make for your home. 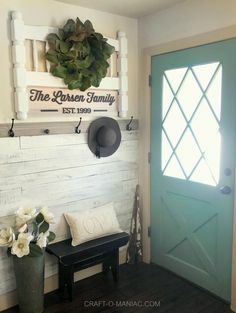 The nice thing about crafting is not that you simply get that sense of accomplishment, but it can also be a great way to decorate your home without spending a fortune on pieces from some high-end furniture store. So if you’re looking for something to do to spruce up your space without spending a fortune, check out some of the following crafts to tackle. Using canvas art in the home is a great way to add some life to your walls, but why would you spend a fortune on canvas art from a store when you can create some yourself? One easy way to make canvas art is to simply pick some canvas up from your local art supply store and get creative. You can paint a picture or do something more abstract. You can also use spray paint and tape to make some different designs on the paper without needing to be precise with a brush. 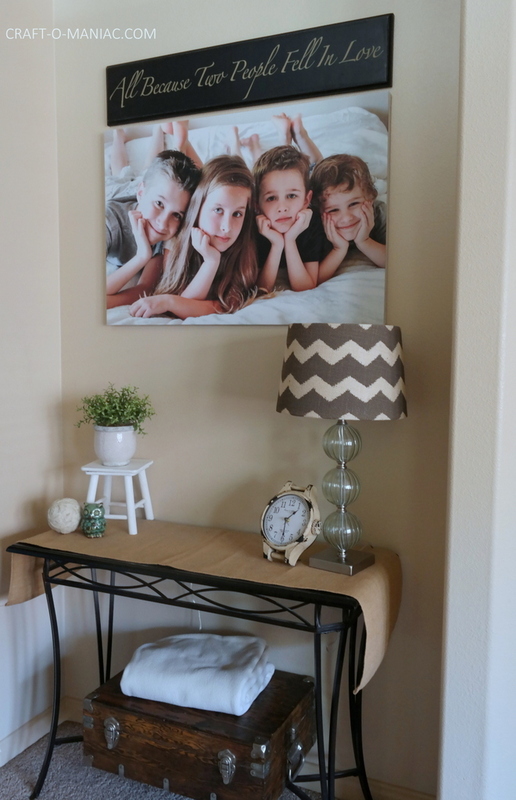 If you’re looking for something to capture memories, you can get pictures printed on canvas to showcase your photos in a more creative way. Canvases come in different sizes, so you can easily find one that fits the desired space. Bedrooms have a lot of furniture, but most people tend to focus on the dressers or the walls when it comes to crafts for rooms. However, you can’t overlook the bed itself. Make the bed the focal point of the room by giving it a facelift. Use some chalkpaint and create a bright color for the frame. Its easy to take one main piece such as the bed with cordinating bedding and it that fun pop of color. Finish it with some cute throw pillows and you’re golden. Plates are a great way to decorate your home’s walls, especially in kitchens. 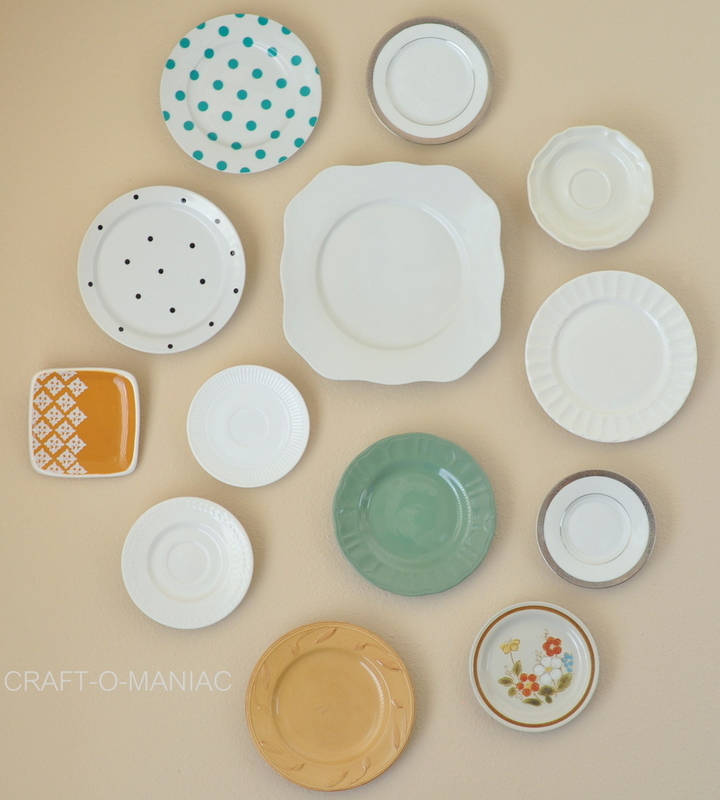 You can buy some plates at garage sales or use some you already have in storage. Ifyou like them as is, you can simply hook them to the wall. If you want to change them up, you have a variety of options. First, you can simply paint the plates a different color to make them accent the wall. You can also buy some metallic markers and decorate the plates with your own style or décor. If you don’t have a steady hand, you could even buy some stickers to put on the plates to make them stand out. No matter what you do, just make sure it’s something you like and want to look at regularly. There are plenty of things to do with glass bottles, and one of the most popular options is to create lights out of bottles. You can keep it simply and push some Christmas lights into an empty bottle for some ambiance. You can even pick up a small lamp shade at your local home store and put it on top to make it look more authentic. If you want a harder project, you can buy the electrical you need to hook up a bulb. Place the electrical inside the bottle and then hook up the bulb to the top. Again, buy a lamp shade, and you will have a true light made entirely out of a bottle. This isn’t just great for entertainment spaces like bars, but it’s also great for any area of the home that needs a fun light. 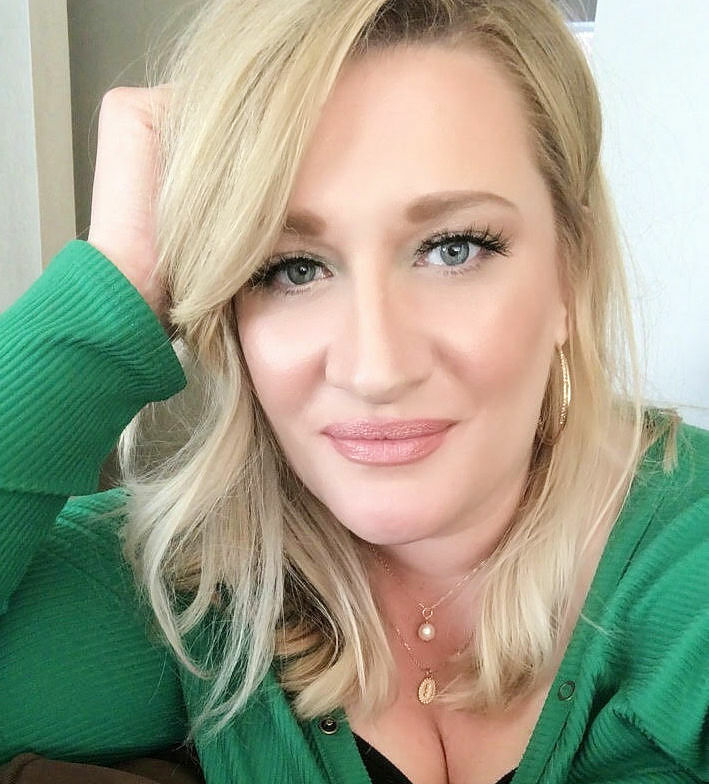 I hope these Ideas inspire you with you’re own fun DIY ideas for your own home. Happy Decorating. Oh!! 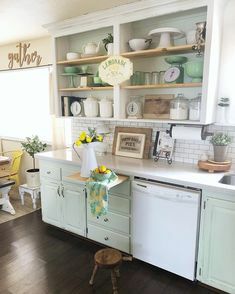 I love the wall-decor idea with plates!! Supercute and elegant.